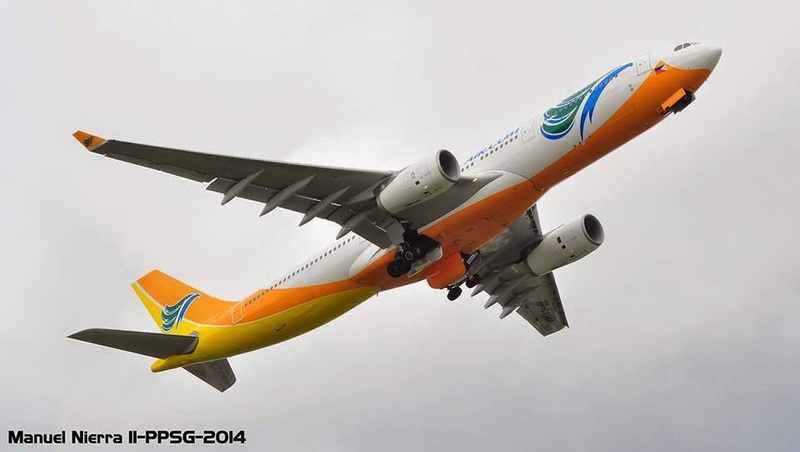 Aviation Updates Philippines - Low cost carrier, Cebu Pacific Air, is seeking more flights to the United Arab Emirates for its long haul expansion. Recently, the carrier announced that it will be launching direct flights from Manila to Kuwait starting September 2 and direct flights between Manila and Sydney starting September 9 this year. In a filing submitted to the Civil Aeronautics Board (CAB), Cebu Pacific is currently applying for the two unused frequencies owned by its rival, Philippine Airlines. Meanwhile, the Philippines and United Arab Emirates concluded air talks last September 2012. "Notice is hereby given that Cebu Pacific has filed with the CAB an application for reallocation of additional entitlements to UAE of two unused weekly frequencies previously allocated to PAL in accordance to the existing Confidential Memorandum of Understanding between the governments of the Philippines and UAE in September 2012," the Civil Aeronautics Board said. Dubai, the first long haul destination of Cebu Pacific, was launched on October 7, 2013 using its 436-seater Airbus A330-343X. Rumors are also spreading that the carrier will be launching flights to Saudi Arabia in the fourth quarter this year. "This is part of the strategy to expand our long-haul operations," Lance Gokongwei, Cebu Pacific Air CEO said. The airline will start its Sydney operations on September 9 using its 436-seat Airbus A330-300 which is currently being used in Dubai, Singapore, Taipei, Tokyo Narita, Cebu, and Davao. Cebu Pacific will be flying to Sydney four times a week. Meanwhile, flights to Kuwait will start on September 2, earlier than Sydney, also using its 436-seat Airbus A330-300. According to the latest timetables published by airlineroute.net, the airline will fly to Kuwait three times a week which will depart at midnight. "Our low fares will allow our kababayans abroad to visit home more often, as we have done in other destinations before, and at the same time attract Australian tourists to our shores," Gokogwei said. Passengers will be able to connect to Cebu Pacific's extensive route network and have a chance to visit the Philippines' tourist attractions in Cebu, Palawan, Boracay and more. Recently on February, Cebu Pacific spent $7 million to acquire the 40% stake of Tiger Airways Singapore Pte Ltd in Tigerair Philippines, and $8 million for the 60% stake held by Filipino businessmen. Cebu Pacific currently operates 52 aircraft compromising of ten Airbus A319-100, thirty Airbus A320-200, four Airbus A330-300, and eight ATR 72-500.